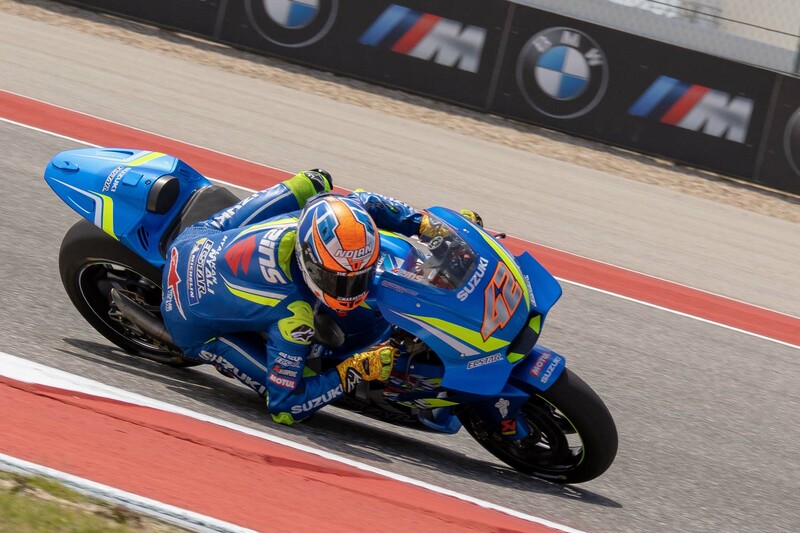 MotoGP, Moto2, and Moto3 headlined the weekend, with MotoAmerica in a supporting role. With the exception of one brief spell of rain on Saturday afternoon, the weather was almost perfect. There were a few changes to the fan experience this year. 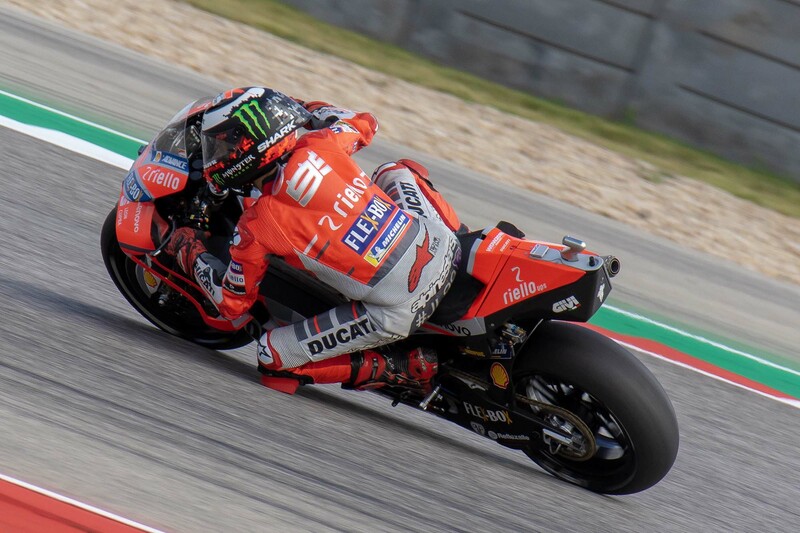 One of the most notable was the moving of Ducati Island from the grassy area below the amphitheater to outside the main straight, just below Turn 1. There were advantages and disadvantages to this move. The new location offered easy access for motorcycles, with a short ride from the main road directly onto Ducati Island. On the other hand, the island was no longer part of the primary pedestrian thoroughfare. 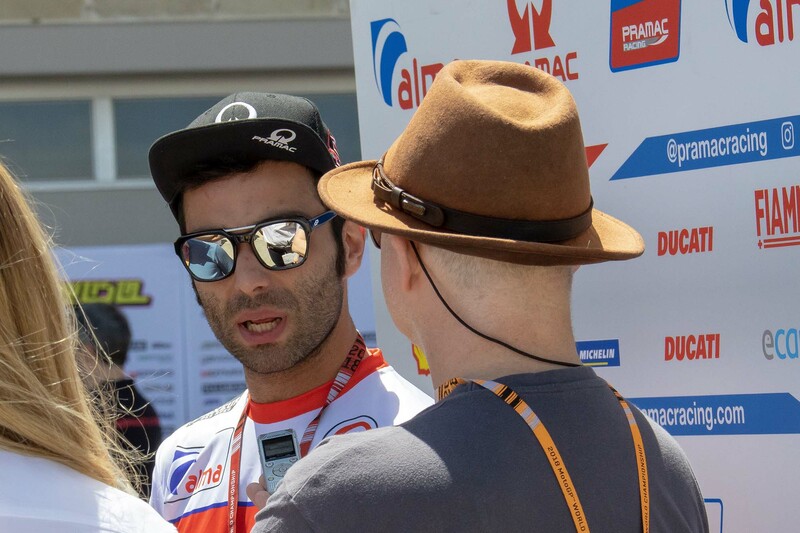 This meant that the casual fan wasn’t just going to happen upon the Ducati scene without knowing where to go. You really had to go out of your way to get there. 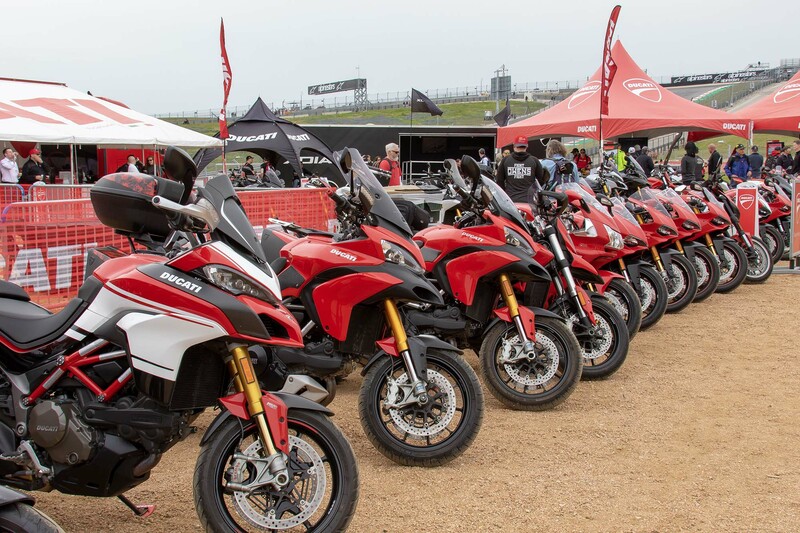 Ducati had their full lineup available for viewing, along with accessories, and apparel, but honestly, the most fun to be had was seeing the attendees’ rides in the parking area. Every size and shape of Ducati was on display. If you’re a Ducatista, it was a great place to drool. 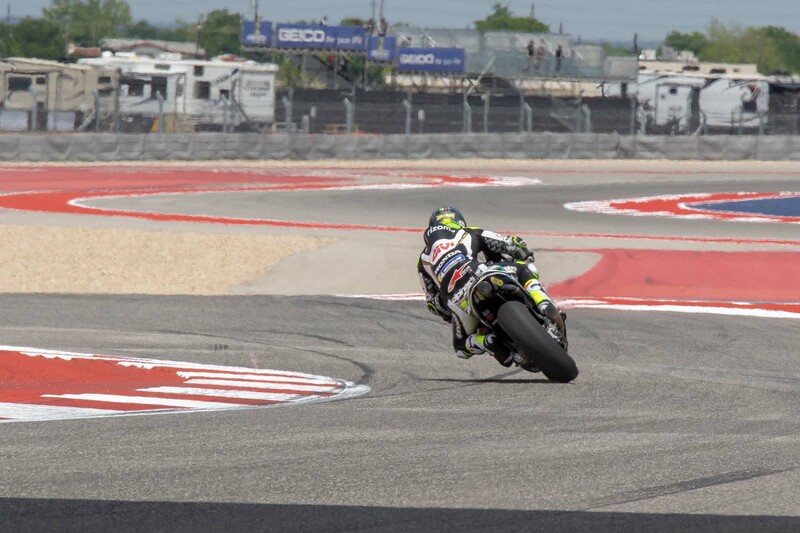 Another new addition to the track was the COTA Karting facility. Every time I walked past the curvy, nearly one-mile mini road course, I wanted to drop my camera gear and go for a drive around the track on one of the karts that reach nearly 50 mph. I’ll definitely make time to go for a spin next year. Other changes to the fan experience included an improved area for vendors in the plaza located right inside the main entrance to the track. This area formed a good gathering spot, with many accessory dealers and eateries to choose from. The back half of the fan area was inside of Turns 13, 14, and 15 with a large number of manufacturers displaying their wares. Demo rides were available from many of the manufacturers and folks lined up to take a ride. Honda, Suzuki, Yamaha, KTM, and Aprilia/Moto Guzzi all had large displays of bikes. Suzuki’s display was particularly notable, showing-off a group of superbikes that commemorated their 40 year relationship with Yoshimura. It was great to see bikes raced by Wes Cooley, Matt Mladin, Kevin Schwantz, Ben Spies, and Tony Elias up close and personal. The display brought up lots of great racing memories from my childhood. 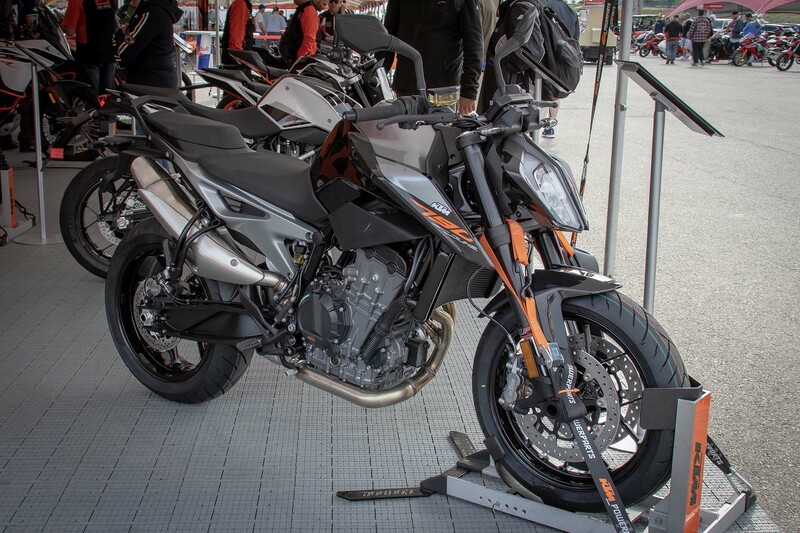 I also enjoyed seeing KTM’s 790 Duke in-person. Though the bike displayed was a pre-production version, it was still great to have a seat and do a little dreaming of what this lightweight parallel twin could do. Maybe I’ll get an opportunity to test this lightweight Austrian rocket in the future? 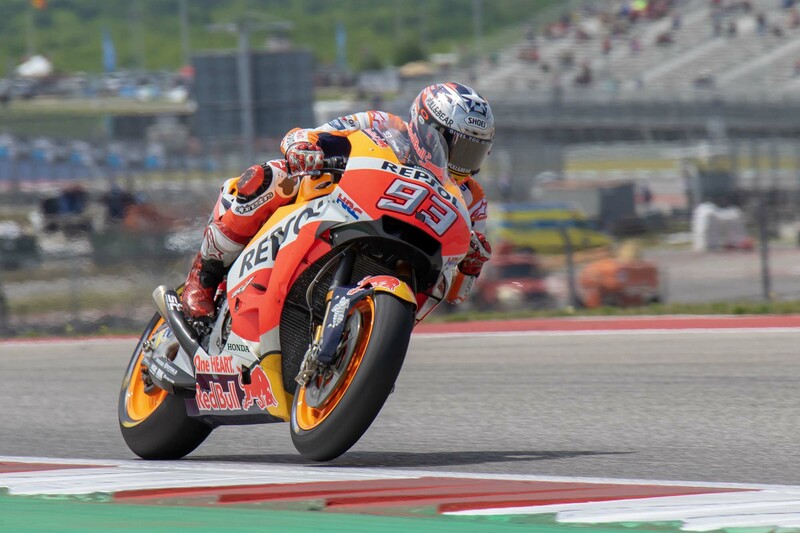 Now of course, the race weekend at Austin wasn’t all about shopping and eating (even though, for some, it might have been). As always, the MotoGP paddock was a beehive of activity. Paddock passes sold out early this year and the area was packed with fans. 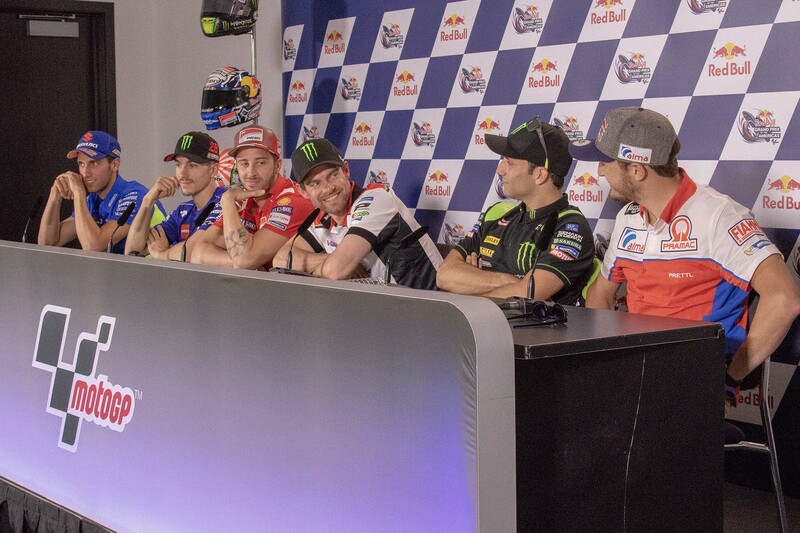 You could always tell when one of the MotoGP superstars appeared. There would be an audible ruckus followed by a sea of people gathering around a very small garage entrance. 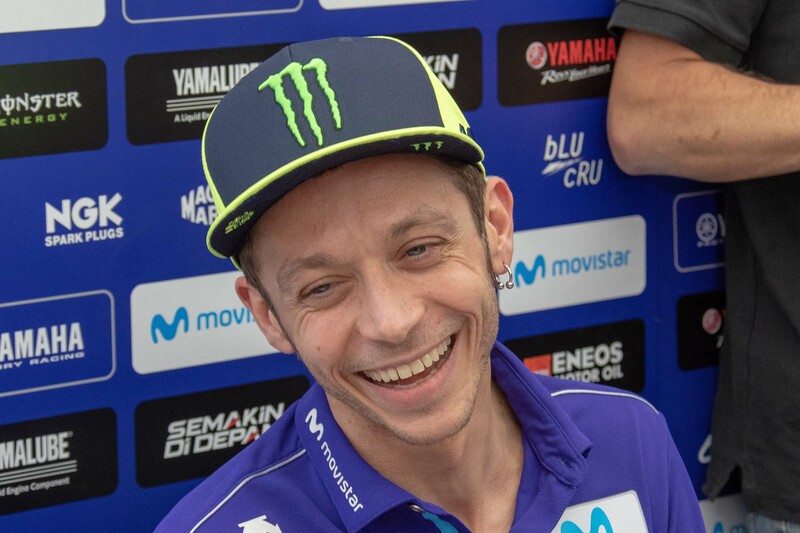 Rossi, Marquez, Dovizioso, Vinales, and Lorenzo all elicited this type of response. Their fans were truly relentless in the hunt for autographs. 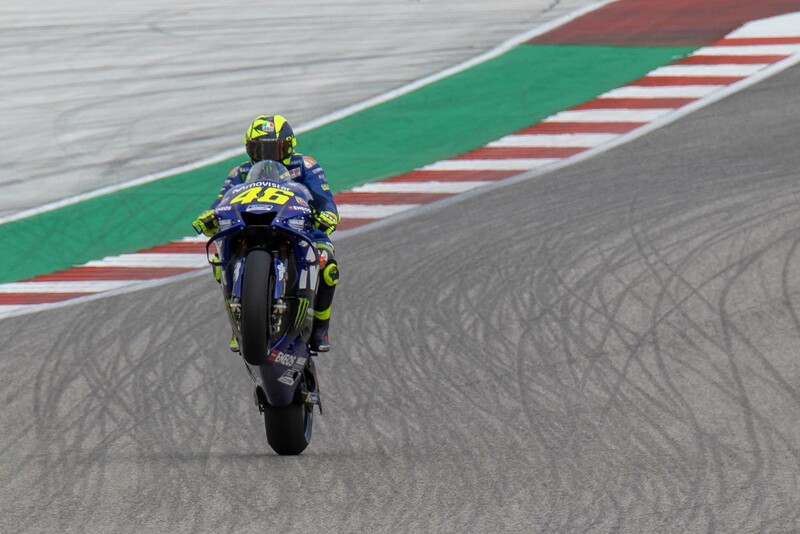 As expected, the buzz in the paddock this weekend was about the shenanigans between Marquez and Rossi at the previous round in Argentina. 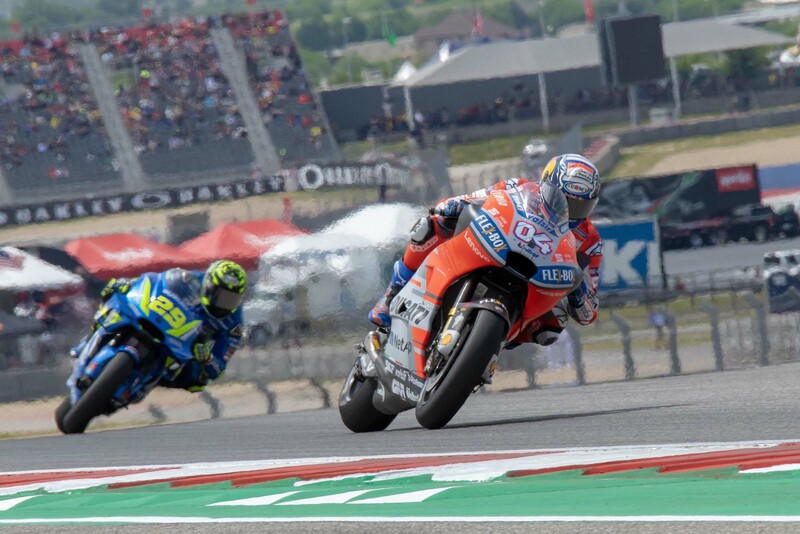 And though the fans were talking about the incident incessantly, both riders decided to tone things down and barely discussed the previous fracas. 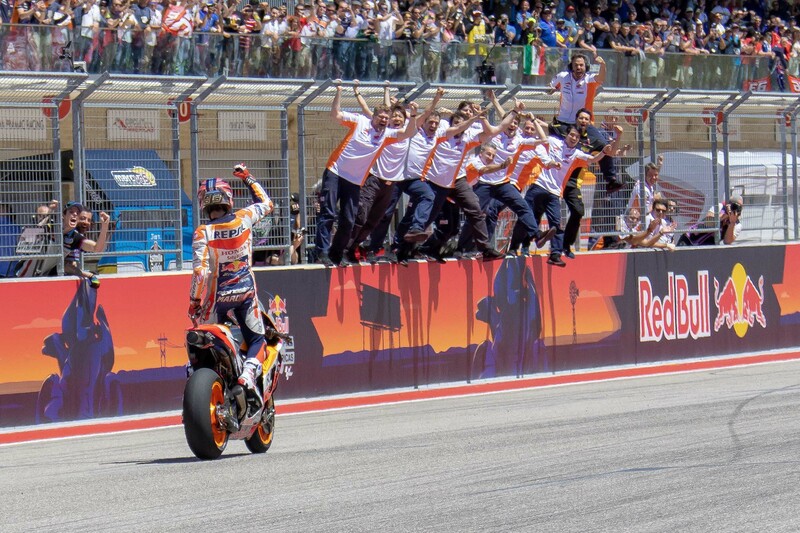 Without a doubt, Marquez’s and Rossi’s respective fan groups were still pretty passionate about their thoughts on the incident, with a rousing round of boos erupting when Marquez was introduced during his post-race victory interview. Oh well, so much for civility. 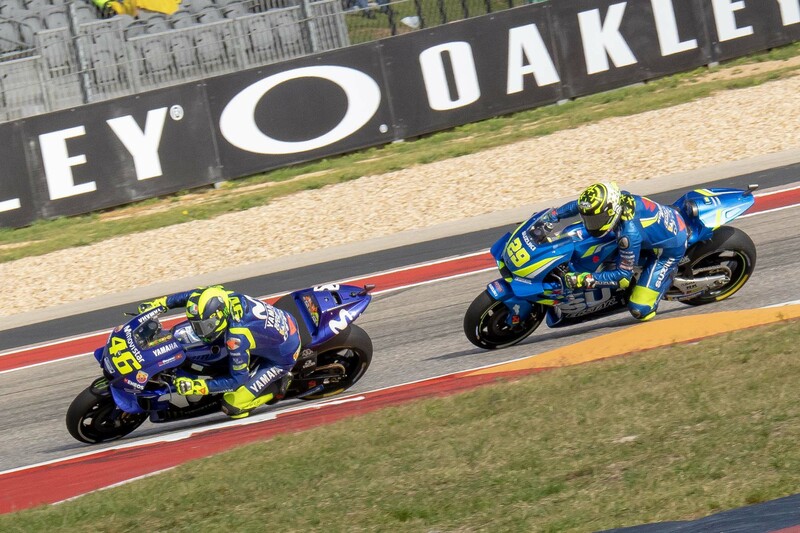 Every time I go to the MotoGP event at COTA, I always feel a tinge of sadness for the MotoAmerica series. Because they are essentially a support class during this weekend, they have a tough time getting much attention. 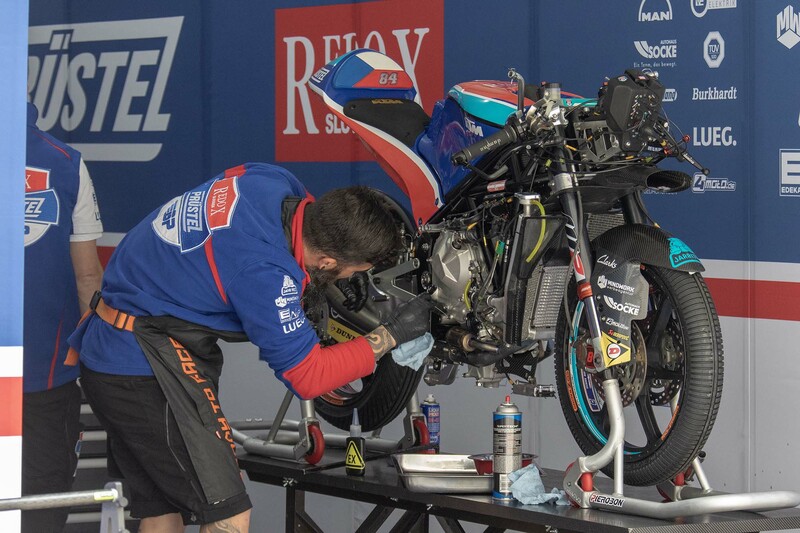 In sharp contrast to the MotoGP paddock, the MotoAmerica paddock was significantly quieter, with mostly friends of the teams milling about the garage area. 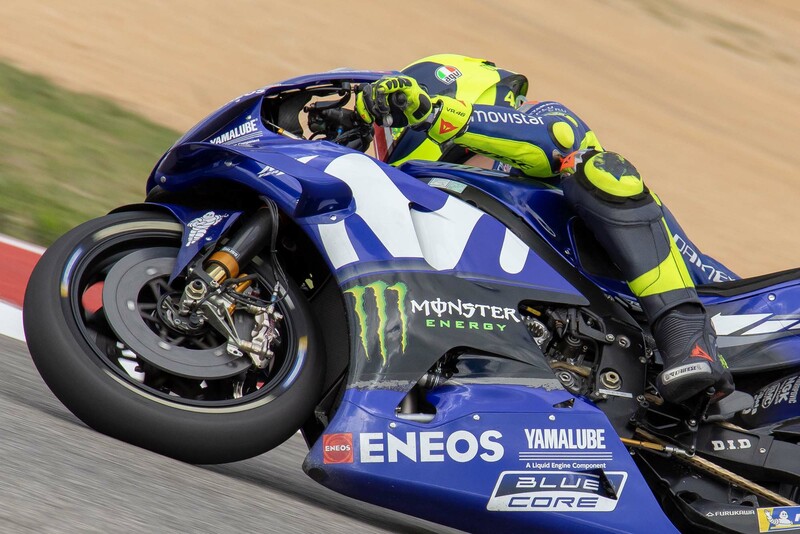 Because of the stringent schedule of activities, MotoAmerica also received very limited track time, and their truncated race schedule mostly occurred after all of the Dorna events were completed. 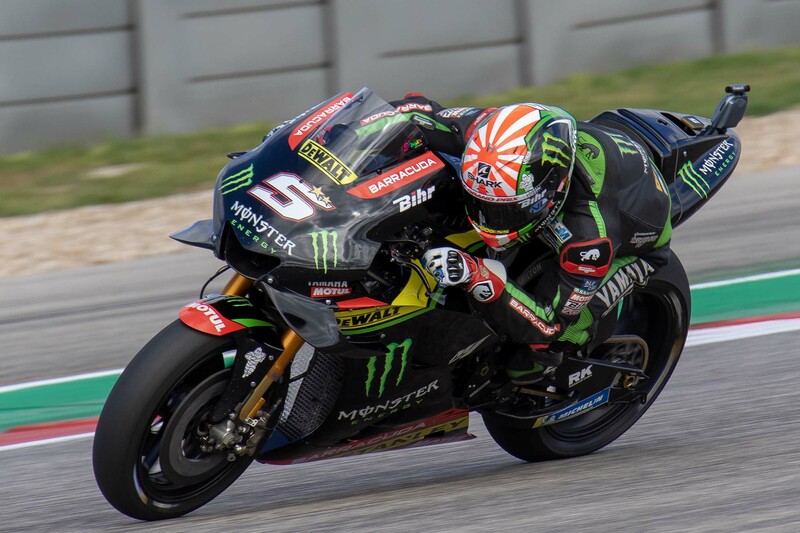 Mathew Scholtz won a rain-soaked superbike race in the late afternoon on Saturday, while Toni Elias scored a dominant victory on Sunday, as many of the MotoGP fans were headed to the parking lot. The racing in the US series is good. The competition is tight, there is a lot of good action, and the personalities are getting more interesting. It is just a shame that more fans don’t pay greater attention to our domestic series. There were two other events that are worthy of mention from this past weekend. Randy Mamola was inducted as a MotoGP Legend and Nicky Hayden had a turn named after him. 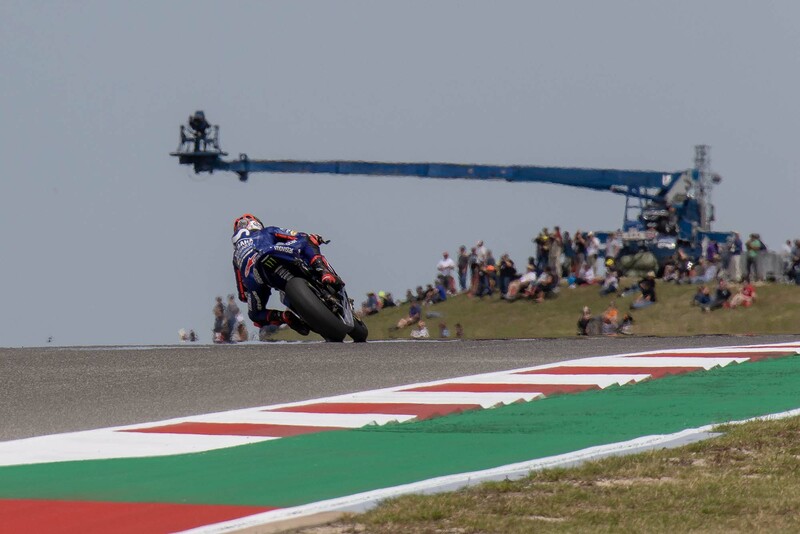 Though covered previously by A&R, I’ll mention that this was the first race after the naming of the area in turn 18 as “Hayden Hill.” A giant number 69 adorned the grass below the observation tower and tributes to Nicky were abundant throughout the weekend. It was touching to see how many racers and fans had his number displayed. 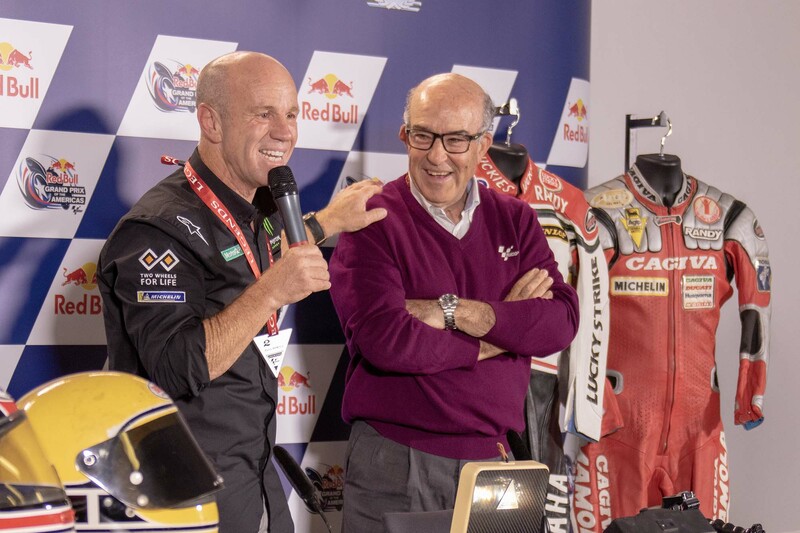 On Saturday, Dorna CEO Carmelo Ezpeleta held a news conference where he introduced Randy Mamola as a MotoGP Legend. 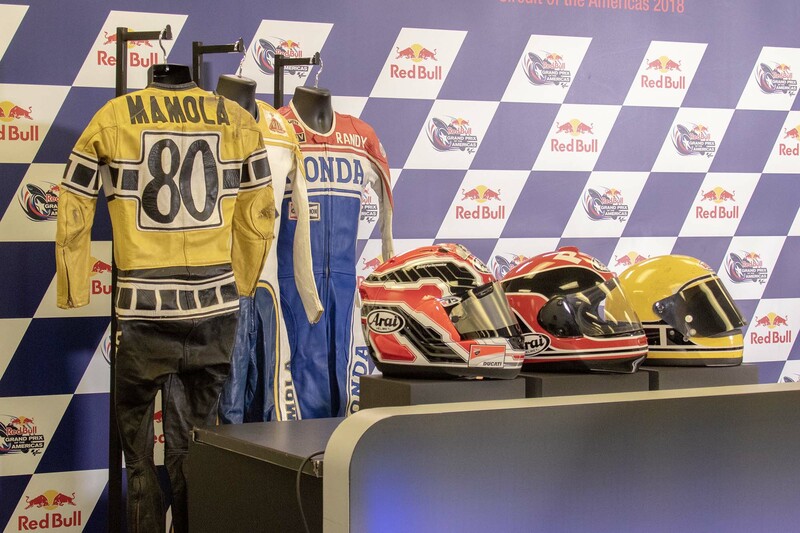 Many of Grand Prix motorcycle racing’s elite attended the event including Kenny Roberts Sr., Kenny Roberts Jr., Kevin Schwantz, and Wayne Rainey. 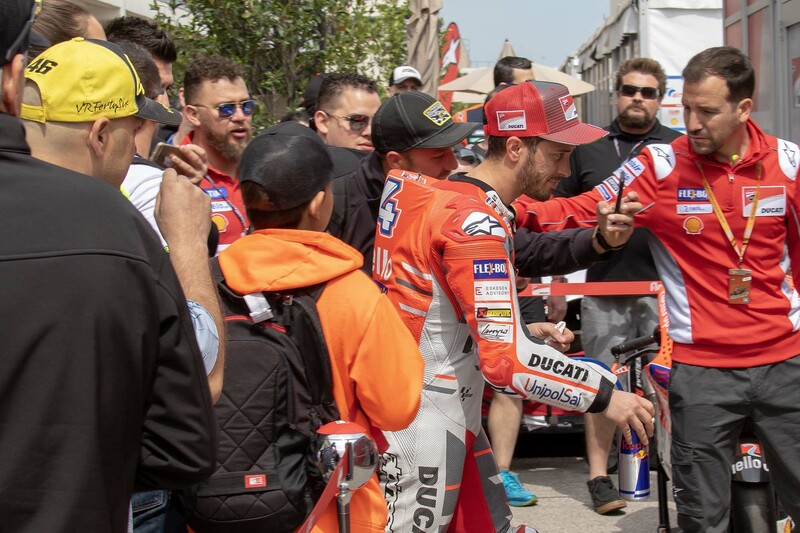 Mamola is still incredibly popular in the paddock and his passion for the sport shined through during the event. 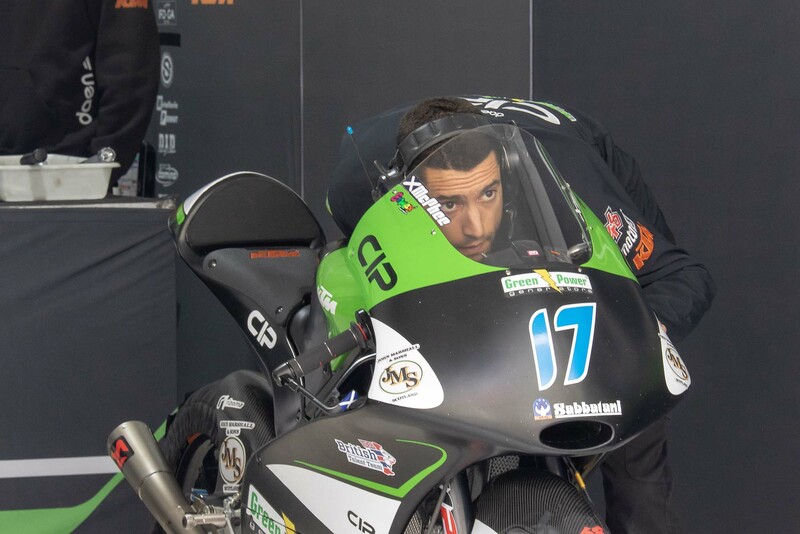 His enthusiasm for the sport of motorcycle racing and his reverence for his family were both very obvious as he discussed his time as a racer and his activities post-racing. It was refreshing to hear from someone who tells it like it is, and isn’t afraid to show a little emotion. Though he didn’t win a championship in the premiere series, he’s a great ambassador for the sport and it was a pleasure to see him named a legend. 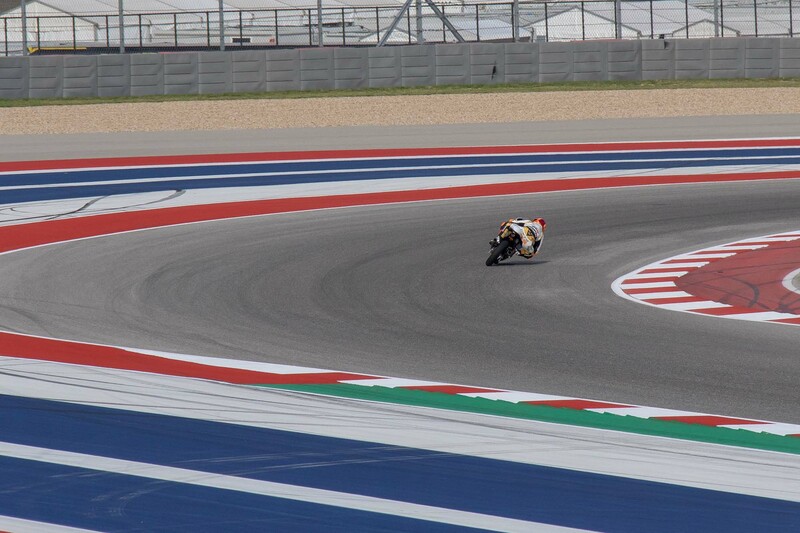 Overall, it was another great weekend at COTA. 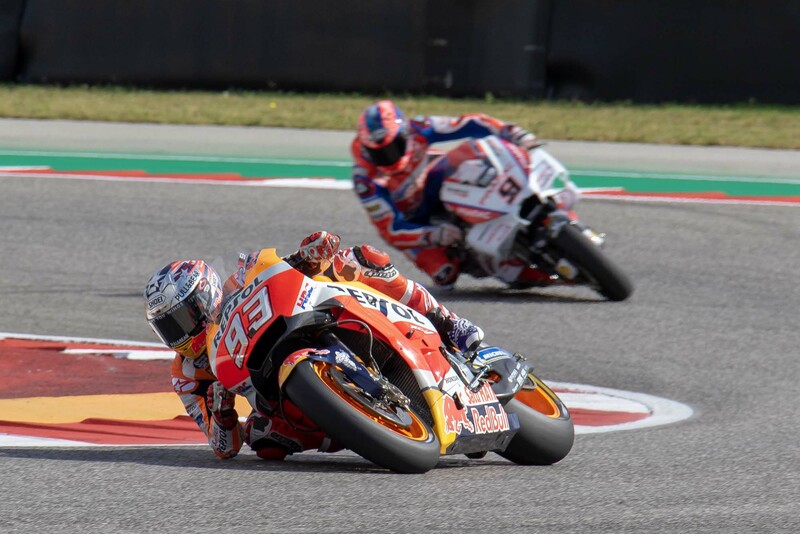 Though Marquez ran away with the race again, it was still a treat to be up close and personal to the two wheeled merchants of speed. 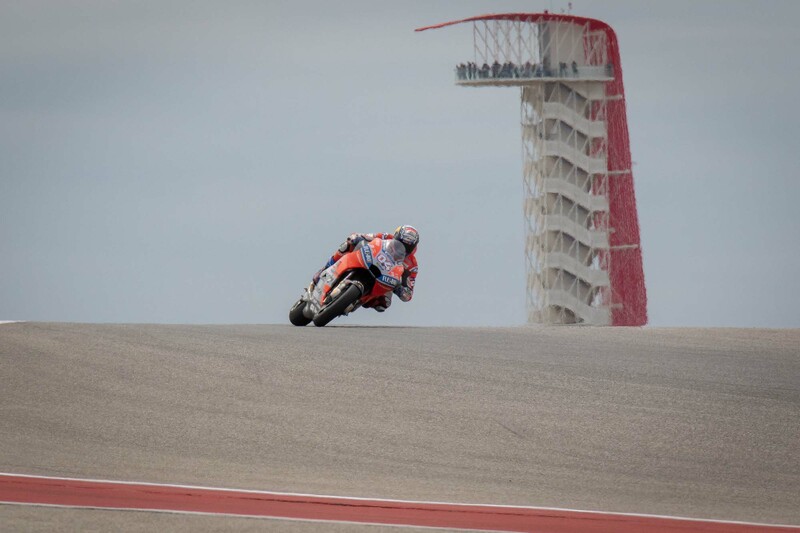 The sound, the images, and the atmosphere at COTA are always memorable. As I headed through Austin’s airport for my flight home, it was heartening to see how many of my fellow passengers were displaying moto swag from the weekend. It’s the one time per year where it feels like I’m surrounded by like-minded people in an airport. 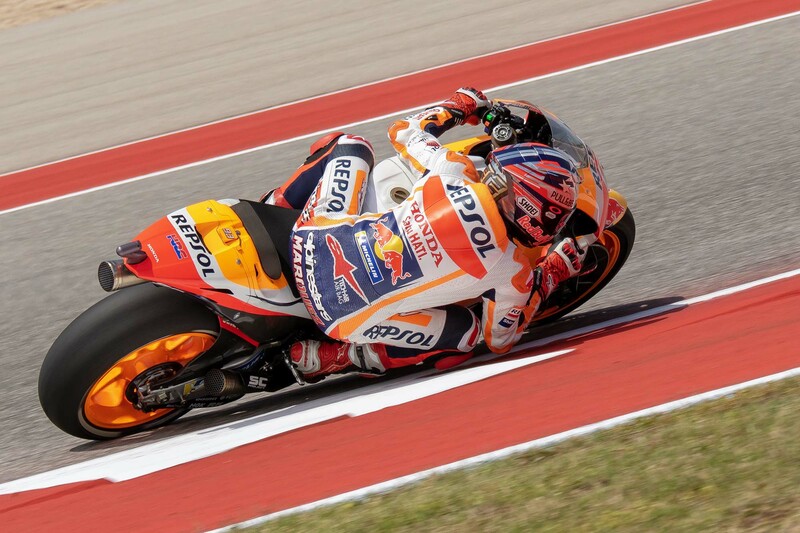 Thanks COTA; see you next year!